Micro Four Thirds cameras have exploded in popularity of late, and there is a wide variety of lens options on the market from budget to professional. Our picks for the best Micro Four Thirds lenses below cover leading models from Olympus, Panasonic, and third-party brands from wide angle and portrait to telephoto. Keep in mind that Micro Four Thirds lenses are cross compatible on either brand of camera, so it's easy to use Panasonic lenses on an Olympus body or vice versa (and you have the flexibility to switch camera brands down the road). For more background information, see our Micro Four Thirds lens comparison table and buying advice below the picks. What we like: Sharp, versatile, and weather sealed. What we don't: Lacks image stabilization. One of the most popular lens choices for full frame is the 24-70mm f/2.8. 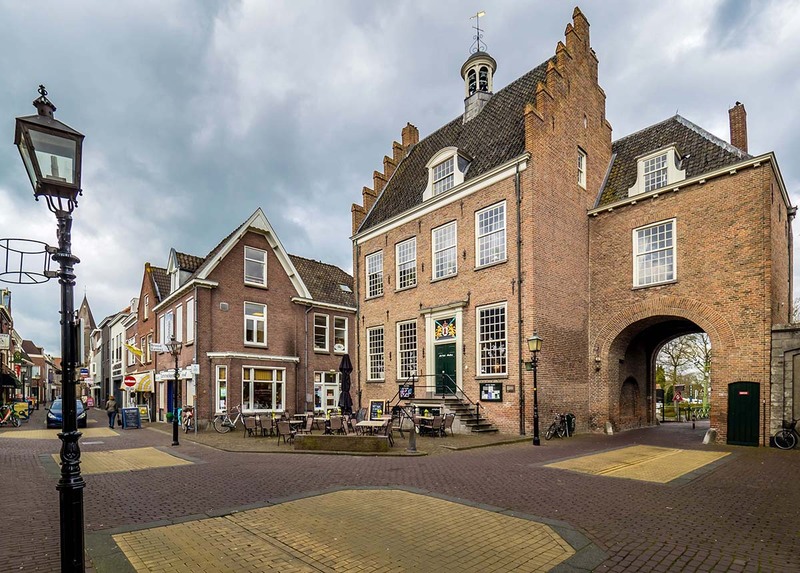 For Micro Four Thirds, a close approximation and then some is the Olympus 12-40mm f/2.8. As the name insinuates, this lens was built with professionals and enthusiasts in mind: it's noticeably sharp, has a fast aperture of f/2.8, a durable metal construction that is weather sealed, and a nifty manual focus ring for composing your own shots. And with a focal length equivalent to 24-80mm, this is an ideal travel and walk-around lens that can handle most of your photography needs. The Olympus 12-40mm f/2.8 isn't without its downsides. Starting with price, $800 is rather expensive, although not compared to some of the other "Pro" series lenses. In addition, it does not come with image stabilization, which can be an issue for video shooters and those with Panasonic cameras (Olympus models have image stabilization in the camera body (IBIS), but some Panasonic cameras do not). These issues aside, the 12-40mm f/2.8 Pro is a terrific all-purpose zoom lens that should make even the most discerning photographers happy. 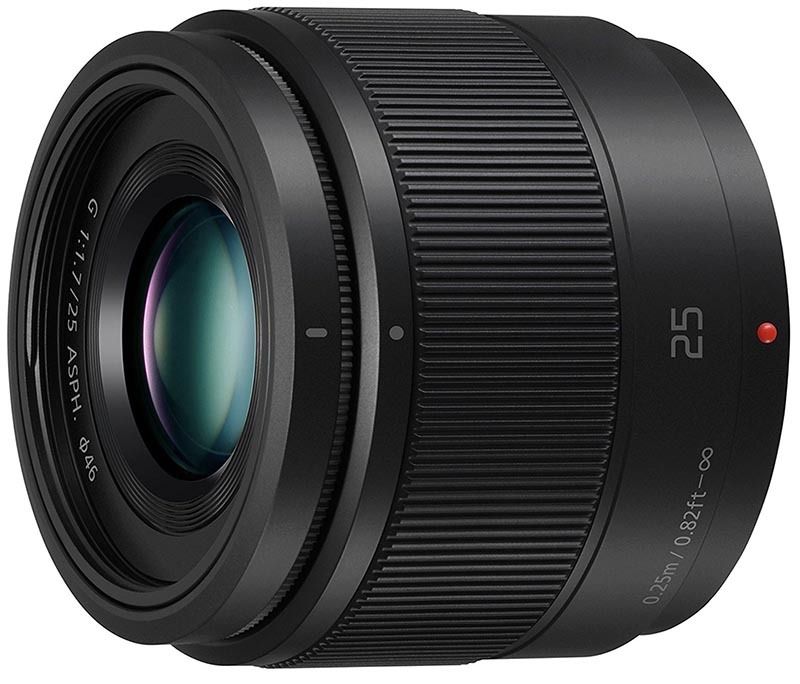 For a similar option with image stabilization, see the Panasonic 12-35mm f/2.8 below. What we like: Sharp and a tremendous value. What we don't: A lot of plastic in the build. One of the best things you can do to make your Micro Four Thirds camera shine is add a fast prime. Good news: you don't have to break the bank in the process. The Panasonic 25mm f/1.7 isn't the fastest 50mm equivalent on the market (Olympus makes an f/1.2 Pro lens for a whopping $1,199), but it's sharp, creates beautiful bokeh, and is a superb value at less than $150. Yes, you can pay many times more for a boost in optical performance, but this is an awesome little lens that weighs just 4.4 ounces to boot. To open a huge can of worms with the options at this popular focal length, Olympus's slower 25mm f/1.8 costs $400, making the Panasonic a no-brainer. 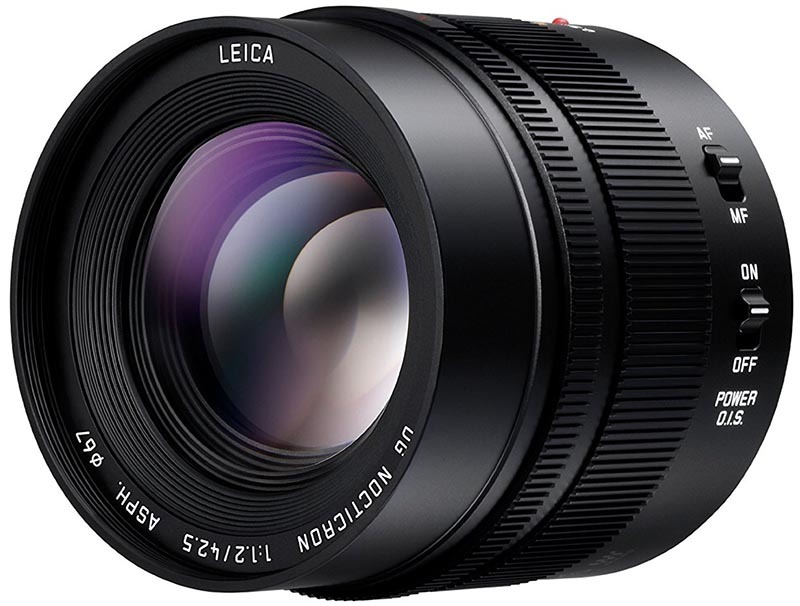 You can up the ante to the Panasonic Leica 25mm f1/.4 at $598, which is a great lens but a much more significant investment than the f/1.7 for a marginal increase in speed. The aforementioned Olympus f/1.2 is a top-notch lens reserved for professionals and those with deep pockets. But taking into account all of the variables including image quality and price, we love saving with the 25mm f/1.7. 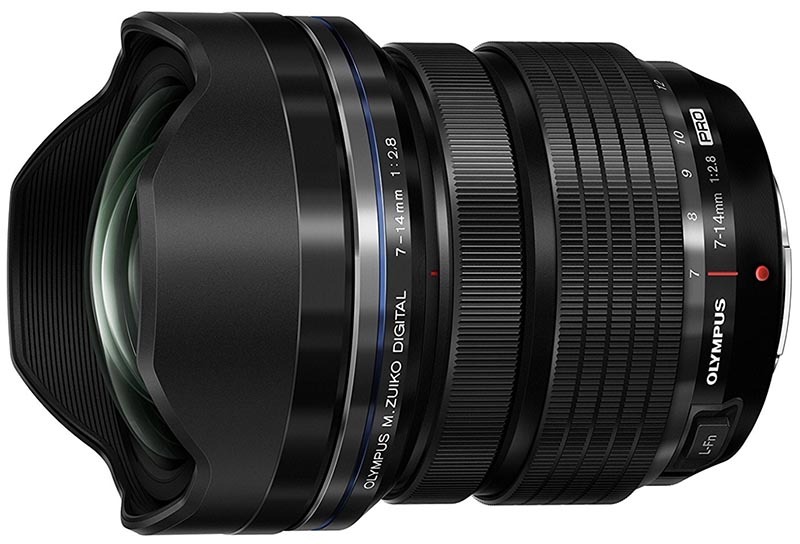 What we like: Lighter and cheaper than the Olympus 7-14mm f/2.8 below. What we don't: Not as good in low light as the Olympus. For landscape photographers, a quality wide-angle lens is your most valuable tool. And for Micro Four Thirds, it's a tough call between the Panasonic 8-18mm f/2.8-4 and the Olympus 7-14mm f/2.8 below. In the end, we give the nod to the Panasonic: it's considerably lighter at 11.1 ounces vs. 18.8 ounces, a couple hundred dollars cheaper, and takes filters. The faster aperture of the Olympus does matter, but many of the top Micro Four Thirds cameras have impressive ISO sensitivity and built-in image stabilization, plus we shoot most of our landscape photography in decent light. It's worth noting that the extra reach of the Panasonic at 18mm wasn't a deciding factor. We tend to use wide-angle lenses almost exclusively at the wide end of the spectrum, and they often become quite average as you zoom in toward the end of their range. The ultimate tipping point for us was weight: outdoor photographers often need to carry their gear far into the field, and nobody wants an extra heavy lens if avoidable. The Panasonic delivers in this regard: it's reasonably light while still producing top-notch images. What we like: Image stabilization and versatility. 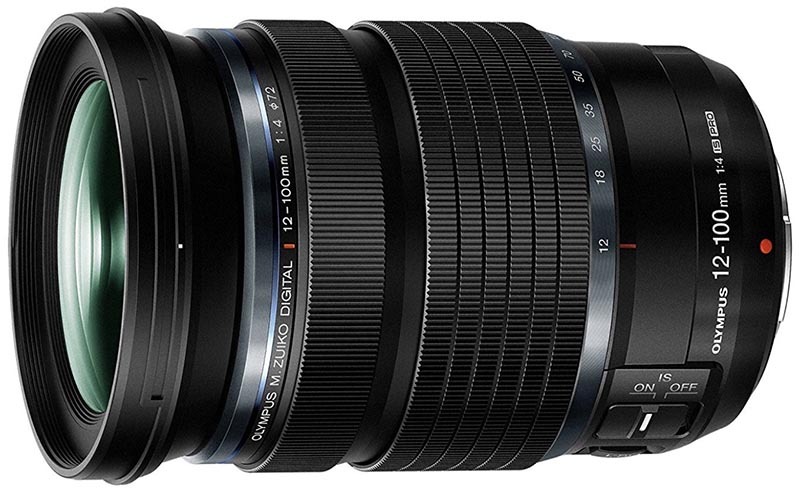 What we don't: Less reach than the Olympus 12-40mm Pro above for $200 more. It's a tough call between the Panasonic 12-35mm f/2.8 and the Olympus 12-40mm f/2.8 above. The good news is that both are pro-level zooms that offer just about all of the features and functionality you'll need: excellent sharpness, solid low light performance, good depth of field, and premium build quality including weather sealing. In many ways, they are the signature Micro Four Thirds from each manufacturer. What are the differences between these two popular lenses? The Panasonic has less reach at 24-70mm equivalent vs. 24-80mm on the Olympus, and we do appreciate that extra 10mm for portraits. It also costs $100 more but weighs less at around 10.7 ounces. Most importantly-and the reason many people choose Panasonic lenses in the first place-is the inclusion of image stabilization. It's worth noting that Panasonic finally has included built-in stabilization on the GH5 and GX8, but the dual I.S. (where the lens and camera work in tandem) can work wonders for video shooters. What we like: Light and cheap. This is a must-have Micro Four Thirds lens for those on a budget. What we don't: Plastic build and average optics. Telephoto lens options abound for Micro Four Thirds, from this inexpensive Olympus 40-150mm f/4-5.6 down to the very pricey "Pro" version below at the same focal lengths. For those who want to experiment at the telephoto end of the spectrum at a low cost, this is one of our favorite budget lenses. For about $100, you get great coverage equivalent to 80-300mm, decent sharpness, and reasonably good autofocus (it will hunt on occasion). In addition, the lens is light at only 6.7 ounces, so it won't add a ton of weight to your camera bag. As with just about any lens at this price point, Olympus uses a lot of plastic in the build and mount, which translates to a cheaper feel and less durability (what can you really expect for $99?). Of course, low light performance at f/4-5.6 can't match a higher-end telephoto lens and don't expect miracles in terms of optical quality. 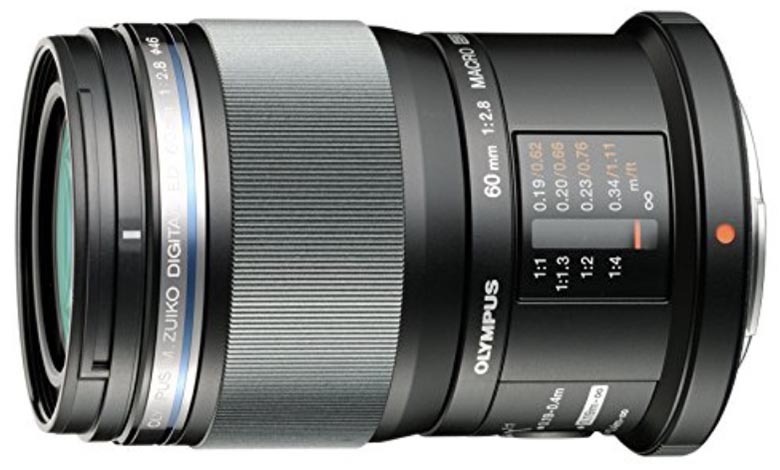 But again, we love the value here-the Olympus 40-150mm f/4-5.6 is a great way to fill out your lens collection on the cheap. 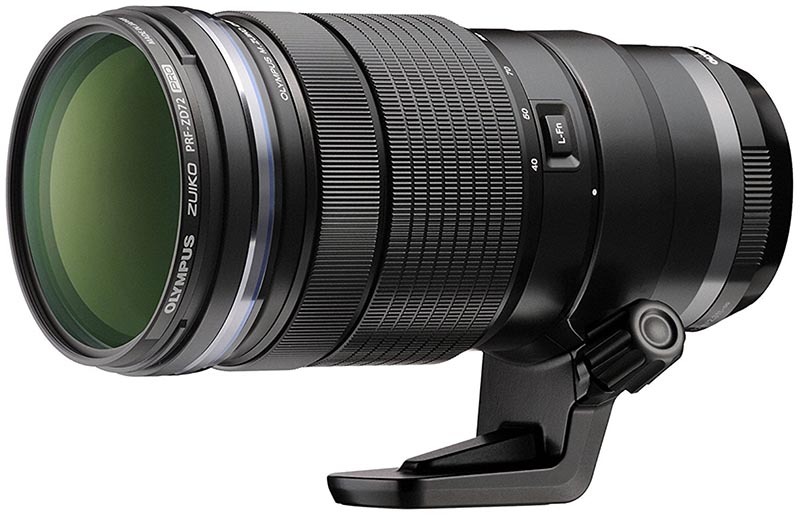 Panasonic users seeking image stabilization should see the 45-150mm f/4-5.6 ($148). What we like: The top macro lens for the Micro Four Thirds system. What we don't: Sharpness and autofocus leave something to be desired. We'll start by saying that the Olympus 60mm macro lens isn't perfect, but it's a very solid lens at a great price. With a 120mm equivalent focal length, an f/2.8 maximum aperture, and 1:1 magnification capabilities, it offers all the elements you'll need for great macro photography on your Micro Four Thirds camera. It even has a focus limit switch to help speed up the autofocus, plus the lens is reasonably light at just over 6.5 ounces. What are the shortcomings of the Olympus 60mm f/2.8? Sharpness could be better, which is a bit disappointing for a macro lens, and autofocus can be slow. 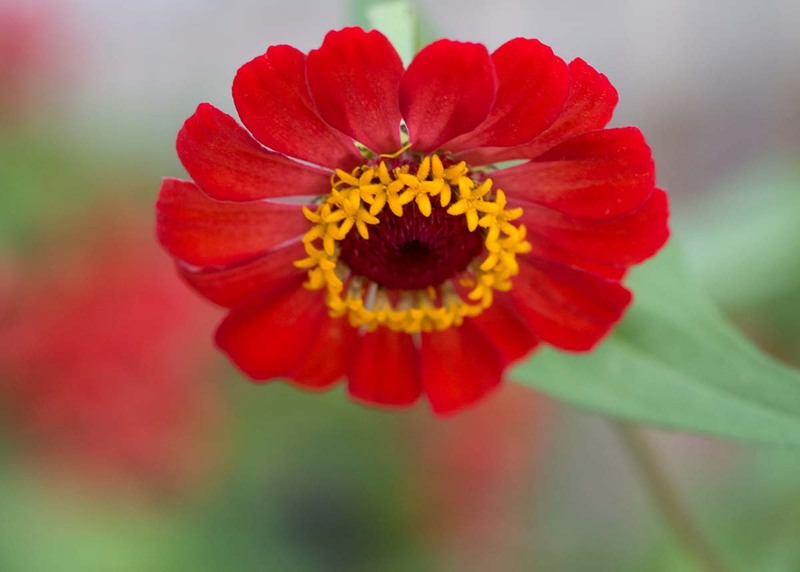 The focus limit functionality does help but you may find manual focus to be even more effective. In terms of other macro options, the Micro Four Thirds lineup is surprisingly scarce. 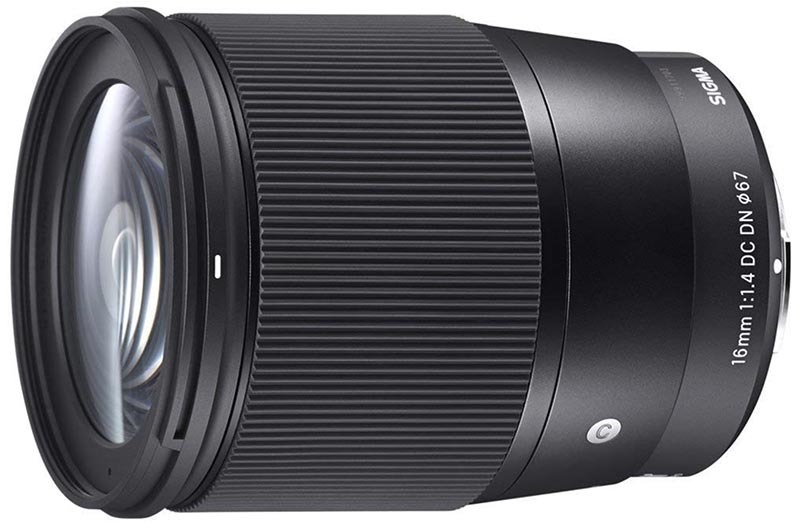 Panasonic makes a 45mm f/2.8 with 1:1 magnification and better sharpness, although it costs nearly $800. And Olympus itself makes other macro options including a 30mm f/3.5. But all in all, we prefer the focal length and price of the 60mm f/2.8. What we like: Image quality and depth of field will knock your socks off. What we don't: The most expensive prime on this list by a wide margin. Life is good at f/1.2. And for those who shoot portraits, the 85mm equivalent is exactly where you want to be. Simply put, the Panasonic Leica Nocticron 42.5mm f/1.2 is the cream of the crop. It offers superb depth of field and low light performance, speedy autofocus, and excellent sharpness, even when wide open. It also has very little distortion to speak of, which isn't always the case, even with prime lenses. From an optical perspective, it's one of the finest Micro Four Thirds lenses on the market. The biggest hurdle for most people in choosing the Panasonic 42.5mm f/1.2 is the price. Nearly $1,400 is a lot to spend for one focal length, although many professionals and enthusiasts don't end up regretting their purchase in the end. And the lens is fairly heavy for a prime at 15 ounces, but the image quality you'll get is simply unsurpassed. If there is one prime lens for Micro Four Thirds to rule them all, this is it. What we like: Super sharp for a multi-purpose lens. What we don't: Still can't quite match specialty lenses at their respective focal lengths. It's hard to argue with the versatility of an all-in-one lens, and particularly if the image quality is there to back it up. The 12-120mm f/4 is yet another impressive offering from Olympus, and it truly is the Swiss Army Knife of the Micro Four Thirds lineup. Unlike many all-in-one lenses, it's sharp throughout its zoom range, has low levels of distortion, and does surprisingly well in low light. The lens is especially popular among video shooters but is no slouch when it comes to stills. As has become a common theme with Olympus's "Pro" series lenses, the price of the 12-120mm f/4 is not for the faint of heart. It doesn't make much sense as a complimentary lens, but it can replace your entire camera bag and adds a serious layer of simplicity for travel and everyday use. And as mentioned above, this lens shoots great video-particularly on Olympus bodies and recent Panasonic models with built-in image stabilization. What we like: A much better value than the Olympus 17mm f/1.2. What we don't: A little bulky. Third-party lens manufacturer Sigma has made serious waves in the full-frame world with their "Art" series, but they have some nice options for Micro Four Thirds as well. Our top pick is the 16mm f/1.4, which is fast, sharp, and focuses quickly. The 32mm focal length equivalent is slightly awkward (Sigma also manufacturers this lens for Sony APS-C cameras, which helps to explain that). But we love the value at $449, which is very reasonable given the f/1.4 maximum aperture and image quality overall. 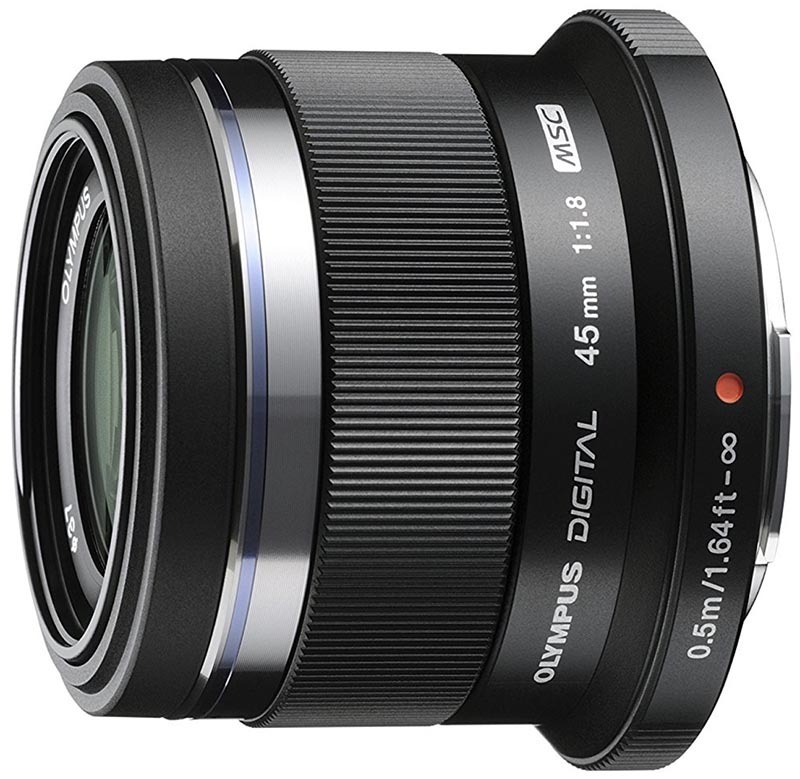 There is a dearth of Micro Four Thirds lens options at the 35mm-ish equivalent, with the faster option being the Olympus 17mm f/1.2 Pro at $1,199. The focal length and aperture of the Olympus are superior, but it's hard to justify spending nearly three times as much for one-third of a stop. And you also have the Olympus 17mm f/1.8, which is smaller but more expensive and inferior from an optical perspective. All in all, we like the Sigma 16mm for street photography and hope that they continue to expand their Micro Four Thirds offerings. What we like: A serious telephoto lens with long reach. What we don't: Autofocus can be slow. For a super telephoto lens with image stabilization, the Panasonic 100-300mm f/4-5.6 is one of the top options for Micro Four Thirds. 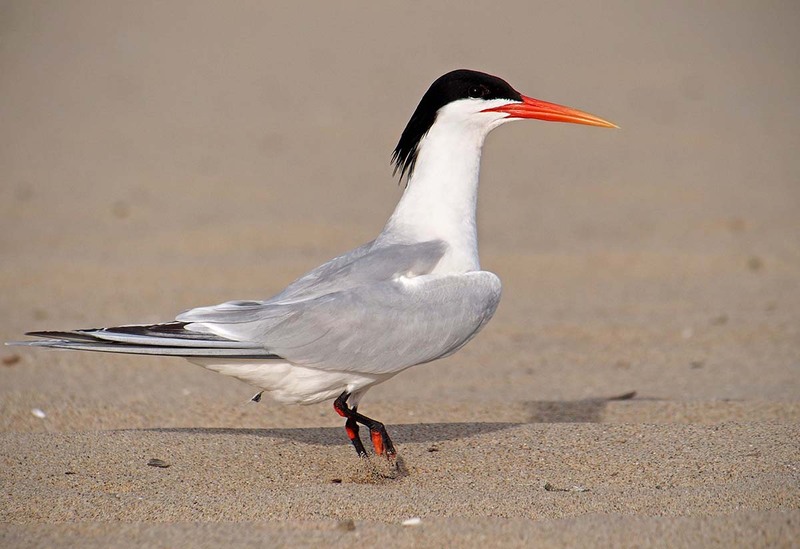 At an equivalent of 200-600mm, it's all that most wildlife photographers need. It's sharp for a lens of this type, reasonably sized at 18.3 ounces, and has a quality build. 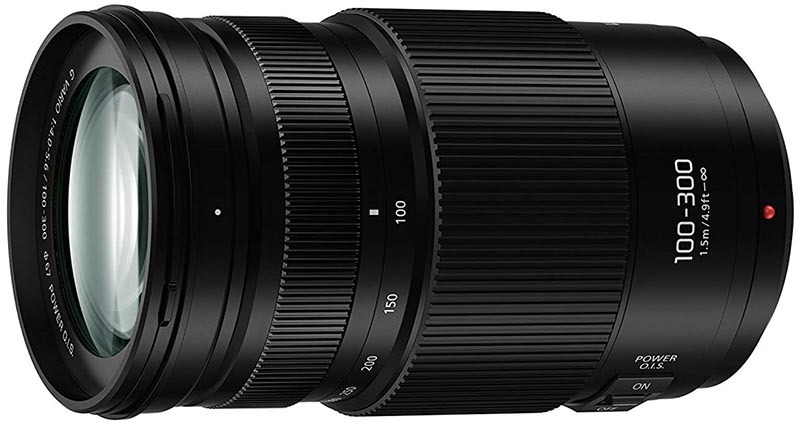 And at well under half the price of the Panasonic 100-400mm f/4-6.3, it's well priced to boot. As with most telephoto lenses-and particularly given such a large focal length range-autofocus on the Panasonic 100-300mm can be slow. However, we think this is a worthwhile tradeoff for the coverage and fun factor. For comparison, the Olympus 300mm f/4 costs $2,500 and weighs well over 3 pounds. Yes, it will outperform the Panasonic in terms of optics and autofocus, and serious wildlife photographers may find the extra cost to be worth it. But we think the Panasonic 100-300mm f/4-5.6 is a really nice compromise of optics, weight, and cost. What we like: A quality portrait lens for a reasonable price. What we don't: Plastic build. Most people don't want to shell out for the Panasonic Leica 42.5mm f/1.2 above, but there's good news: Olympus makes a very respectable alternative for a fraction of the cost. At just under $250, the 45mm f/1.8 packs a whole lot of punch: it's sharp, creates nice depth of field (f/1.8 isn't all that bad after all), and weighs only 4.1 ounces. For portrait photography on Micro Four Thirds, that's some serious bang for your buck. What's not to like about the Olympus 45mm f/1.8? Autofocus is reasonably fast most of the time, although it may hunt on occasion. In addition, the build has a lot of plastic in it, although this is to be expected in this price range. And of course, f/1.8 is a full stop slower than the blazing fast f/1.2 of the Panasonic above, but the lens will still outperform any kit or zoom alternative. If you take people photos and want a quality prime on a budget, the Olympus 45mm f/1.8 is a nice option. What we like: Lighter and sharper than the 40-150mm above. What we don't: Struggles in low light. Here's a value play and fun compliment to many of the lenses above: the versatile Panasonic 35-100mm f/4-5.6 is available for less than $250. With a focal length equivalent of 70-200mm-one of our all-time favorites-this lens is sharp, focuses well, and is surprisingly light at just 4.8 ounces. It can shoot everything from portraits to wildlife, filling out your camera bag at a very reasonable price. As is the case with just about any inexpensive telephoto zoom, you'll want to do most of your shooting with this lens in the daytime. The maximum aperture of f/4-5.6 is serviceable, plus the lens comes with optical image stabilization, but it isn't built to excel in low light. That being said, the optics are better than the Olympus and Panasonic 40-150mm f/4-5.6 lenses, and it's more compact. Given the image quality, price, and size, it's a really nice buy for Micro Four Thirds. 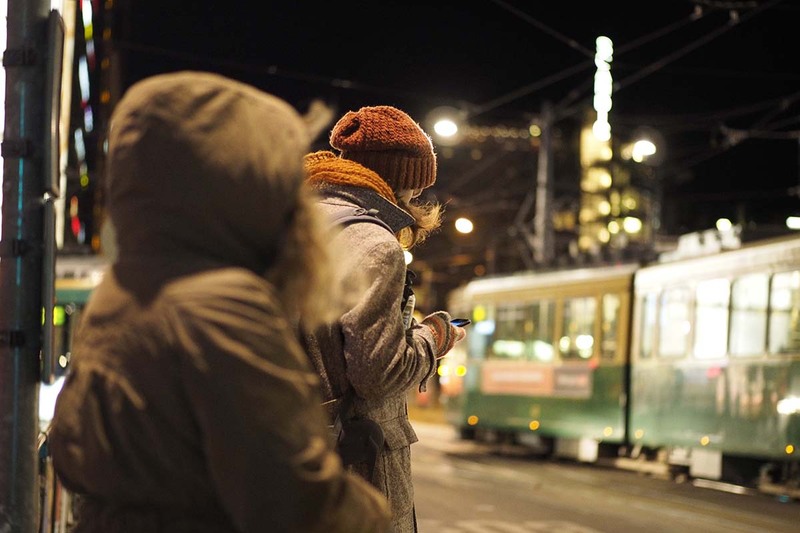 What we like: Better low light performance than the Panasonic 8-18mm above. What we don't: Heavy and doesn't take filters. 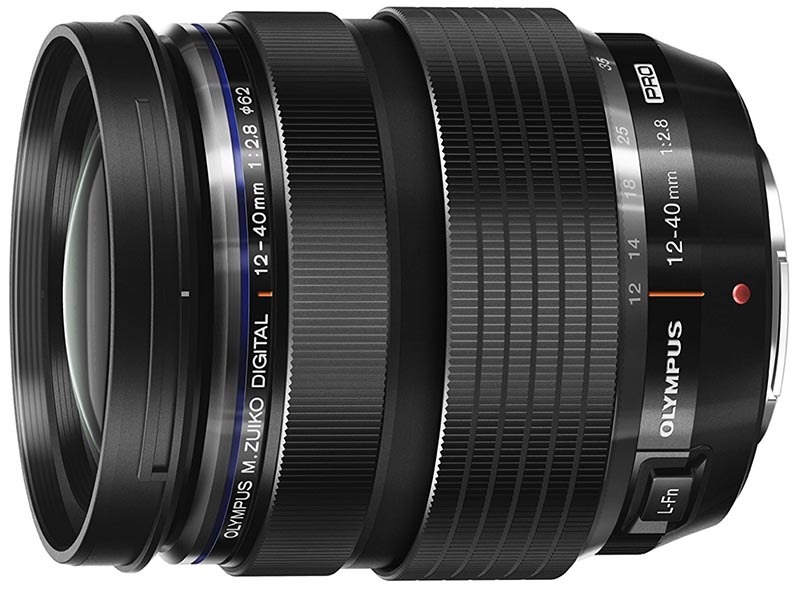 Purely in terms of optical performance, the Olympus 7-14mm f/2.8 is the top wide-angle zoom for the Micro Four Thirds system. It's fast at f/2.8, sharp, and weather sealed for protection from the elements. Wide-angle lenses are an expensive bunch in general, and this lens will set you back a hefty $1,300. But it's hard to argue with the performance and build quality, which are professional grade across the board. Why is the Olympus 7-14mm Pro ranked here? It's considerably heavier than the Panasonic 8-18mm f/2.8-4 above at over 18 ounces, doesn't take filters, and costs $200 more. Yes, the low light performance is better with a constant maximum aperture of f/2.8, but that's not quite as big of a deal when shooting wide-angle compared to other types of photography. 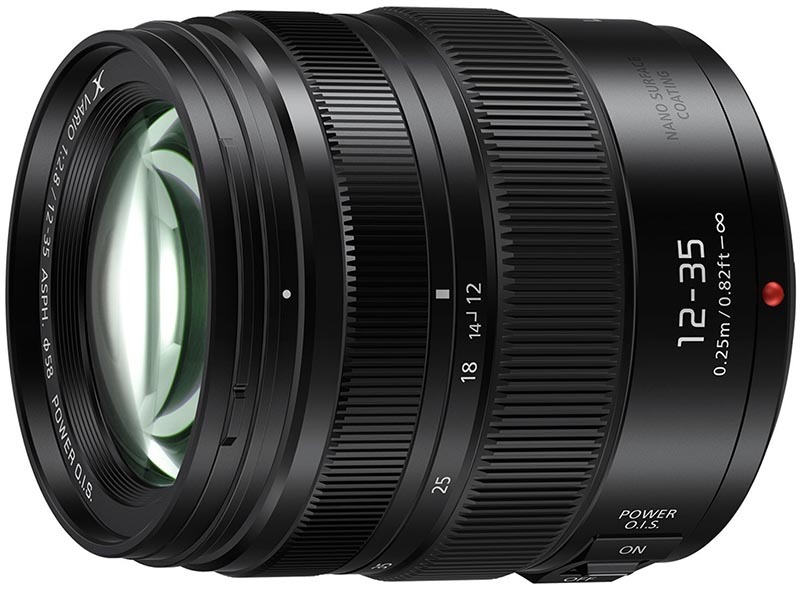 And Panasonic does offer a 7-14mm f/4 version, but given the high cost at nearly $800, we prefer spending up for the 8-18mm. What we like: Low profile and light. What we don't: Autofocus can be slow and loud. 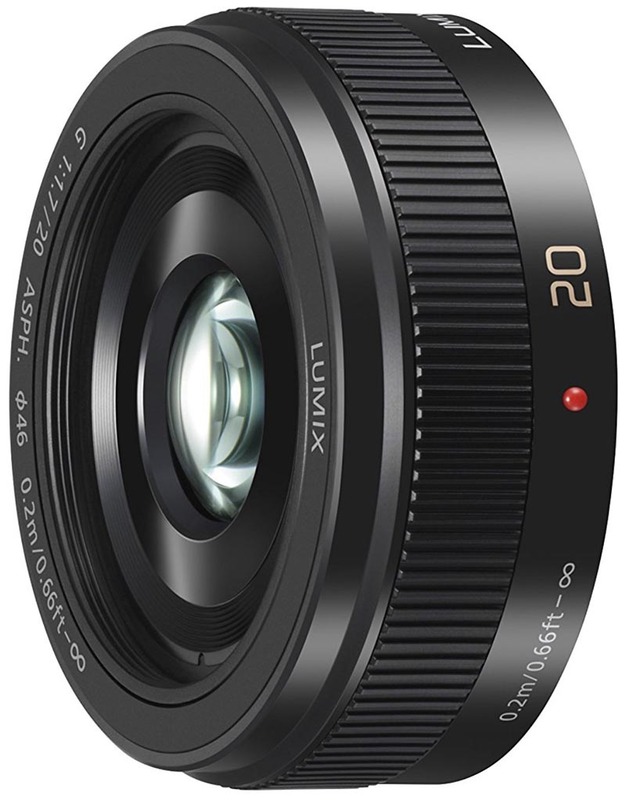 Due to its compact size and reasonable price, the Panasonic 20mm f/1.7 II is one of the more popular Micro Four Thirds lenses on the market (the original version had banding issues with high ISO images, so make sure to get the improved "II"). This pancake-style lens weighs only 3.1 ounces yet boasts an impressive aperture of f/1.7, which is an attractive combination. If size and speed are your top priorities, this lens is a fine option. The biggest complaints about the Panasonic 20mm f/1.7 relate to autofocus. Not only is it slower than most primes, but it tends to be noisy during operation, which is not a great combination. In addition, the 40mm equivalent focal length isn't all that common-it lands between more traditional 35mm and 50mm focal lengths. All things considered, we give the nod to the 25mm f/1.7 above, which is sharper, cheaper, and more practical. What we like: Versatility and great optics. What we don't: The heaviest lens on this list. It's good to end on a strongpoint. 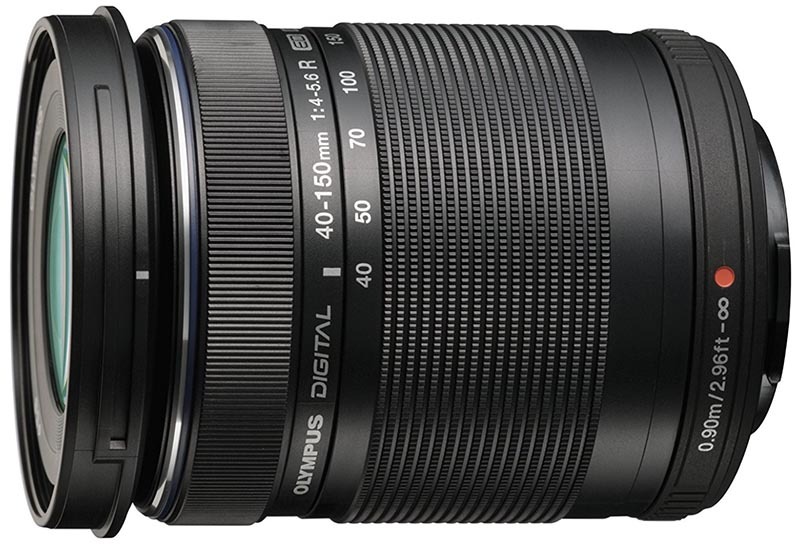 The Olympus 40-150mm is not for the faint of heart, and it's the fourth "Pro" lens we've included on this list. But we absolutely love the focal length range, which at an 80-300mm equivalent offers tremendous versatility. This lens works surprisingly well for portraits (remember that 85mm is the premier focal length for people photos), yet also covers the gap for detail shots and even telephoto. On the other side of the aisle, Panasonic offers the 35-100mm f/2.8 for $998, which matches the ultra-popular 70-200mm focal length equivalent. Both of these lenses are nice options and good at what they do, but we like the extra 100mm of reach on the Olympus. If you don't need image stabilization (the Panasonic does have Power O.I.S. ), we prefer the optics and versatility of the Olympus. Micro Four Thirds cameras have an easy-to-calculate 2X crop factor, meaning that a 25mm lens will behave like a 50mm lens would on a 35mm camera. The history behind crop factor is long, but what you need to know is that lens focal lengths are described using 35mm film as the reference point. Because the diagonal of a Micro Four Thirds image sensor is 2 times smaller than a 35mm camera, you multiply the listed focal length of the lens by 2 to determine its equivalent. If you've used a full-frame camera before, crop factor can be very helpful in choosing your lenses. For example, the Panasonic 12-35mm f/2.8 is equivalent to 24-70mm on a Micro Four Thirds camera, which is much more useful than the listed range (enthusiasts and professionals love fast 24-70mm lenses for their tremendous versatility). Because of the importance of focal length equivalent in choosing lenses, we've provided it both in the product specs and in our lens comparison table above. Image stabilization helps to offset camera shake and is a desirable feature for low light photography and video. For Micro Four Thirds, here is what you need to know: most Olympus cameras have in-body image stabilization, which means that Olympus lenses do not. On the other hand, only a few recent Panasonic cameras like the GH5 and GX8 have in-body image stabilization, which is why many Panasonic lenses have O.I.S. A handful of Panasonic lenses are "dual I.S. compatible," which means that the camera and lens image stabilization systems are able to work in tandem. We are huge fans of in-body image stabilization and have found it to be very effective in general. However, given the large amount of video shooters that use Panasonic and the GH5 in particular, it makes total sense that it would be a sought-after feature on Panasonic lenses. The good news is that you often have options at just about all of the important focal lengths. For example, the Olympus 12-40mm f/2.8 Pro does not have image stabilization, but the very similar Panasonic 12-35mm f/2.8 does. You'll typically have to pay more for the privilege, but there are viable options with O.I.S. across the spectrum of focal lengths and lens types. This debate can be endless, and there is no universally right answer for every photographer. In general, prime lenses are faster in terms of aperture, lighter, and have less distortion, while zooms are much more versatile by covering a range of focal lengths. With certain high-end zooms like Olympus's "Pro" series, the optical performance is pretty darn impressive and the convenience is unparalleled, although this comes at a steep price. Here's our take: the zoom vs. prime decision largely comes down to budget and the type of photography you shoot most. For example, if you are a wedding or event photographer, the ever-popular 24-70mm f/2.8 focal length is really tough to beat. You can work an entire night without having to change lenses or compromise on quality. On the other hand, if you specialize in portrait photography and headshots in particular, it's really hard to pass on a great 85mm equivalent prime like the Panasonic Leica 42.5mm f/1.2. You just won't be able to replicate the depth of field and low light performance with any comparable zoom. The only models we really try to avoid are the kit zoom lenses that come with the camera body (the Olympus 14-42mm f/3.5-5.6, for example). They often are slower, softer, and mediocre in terms of optics, whereas you can add a budget prime like the Panasonic 25mm f/1.7 for less than $150. Aside from choosing a focal length(s) and the type of lens (zoom vs. prime), maximum aperture is the next big decision. In short, aperture is the size of the lens opening through which light passes, and it impacts just about everything related to image quality: bokeh, depth of field, and sharpness. Aperture is measured in f-stops, and the lower the f-stop (f/2.8, f/1.8, f/1.4, f/1.2, etc. ), the larger the opening and the more light can enter. You can see the full f-stop scale here, and lower numbers make for more desirable (and expensive) lenses. In terms of numbers, we generally make the professional cutoff at f/2.8. Lenses with this maximum aperture or faster are solid low light performers and can help you achieve the creamy bokeh that professionals love. Many cheaper zoom lenses have a maximum aperture of f/4 or slower, which is respectable but can cause some challenges when natural light is low. Olympus's in-body image stabilization can help, and Panasonic has O.I.S. on many of its lenses, but there's no replacement for a fast lens. Mirrorless cameras haven't been around as long as DSLRs, and therefore the lens offerings generally are more limited. However, the Micro Four Thirds format is flush with options and you can choose between any model manufactured by Olympus or Panasonic. To further clarify, Micro Four Thirds lenses are cross compatible, meaning you can use a Panasonic lens on an Olympus camera without an adapter and vice versa. As mentioned above, image stabilization is a key factor that may dictate your decision: Olympus lenses do not have image stabilization while many Panasonic lenses do. Some third-party lenses are made with a Micro Four Thirds mount, including from manufacturers like Sigma, Tokina, and Voigtlander. 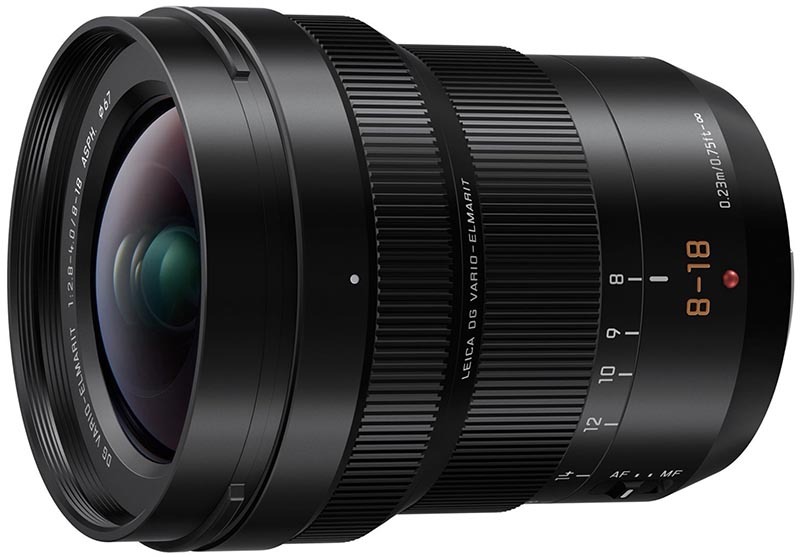 Sigma in particular has a number of nice offerings, including the 16mm f/1.4 on this list and other primes at focal lengths including 19mm, 30mm, and 60mm. The reality is that third-party lenses for Micro Four Thirds are scarce, many are manual focus, and they often can't measure up to the native offerings from Olympus and Panasonic. Some people decide to use adapters for their Canon or Nikon DSLR lenses, or even from other mirrorless set-ups like Sony e-mount. We think adapters are an okay solution if you have a big collection of lenses from another brand that you really want to use on your Micro Four Thirds camera. However, when using an adapter autofocus can suffer or even be non-existent, and DSLR lenses will be bulkier on a small Micro Four Thirds body than a native lens. If possible, we recommend sticking to Olympus, Panasonic, or third-party lenses with a designated Micro Four Thirds mount. One of the key specs that we provide for each lens in this article is weight. It's important to remember that you're going to be carrying the lens for extended periods either around your neck or in your camera bag, and weight definitely makes a difference over time. 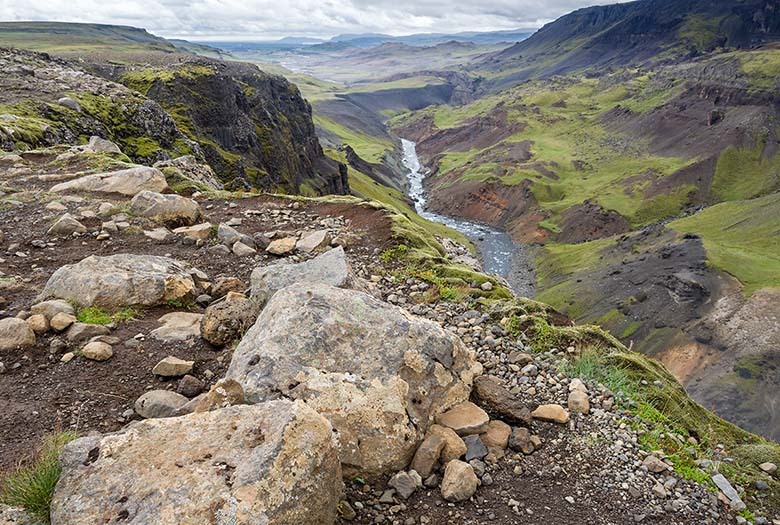 For certain uses like landscape photography where you may be hiking deep into the backcountry, the weight of a camera and lens can become a top priority. And one of the great advantages of Micro Four Thirds—and mirrorless interchangeable-lens cameras in general—is their compact size. At the low end of the spectrum, you can find Micro Four Thirds lenses starting at around 3.1 ounces (the Panasonic 20mm f/1.7 II, for example), and some of the pro telephoto models can weigh up to 3 pounds or more. It's worth noting that you don't want to sacrifice too much in terms of optical quality in the name of shaving weight. For example, pancake-style lenses that sit flat are attractive because of their low profiles, but often suffer in terms of things like sharpness and autofocus. The bottom line is that the weight and size of your lens matters, but it should be just one factor along with considerations like optical performance and cost. Just for fun, we wanted to mention the Voigtlander lenses for Micro Four Thirds. Theses super high-end models have maximum apertures of f/0.95 (that is not a misprint), making them among the brightest and fastest on the market for any type of camera. They’re also manual focus like some of the more traditional Zeiss lenses, which some amateurs dislike but soon learn is fun and more accurate. 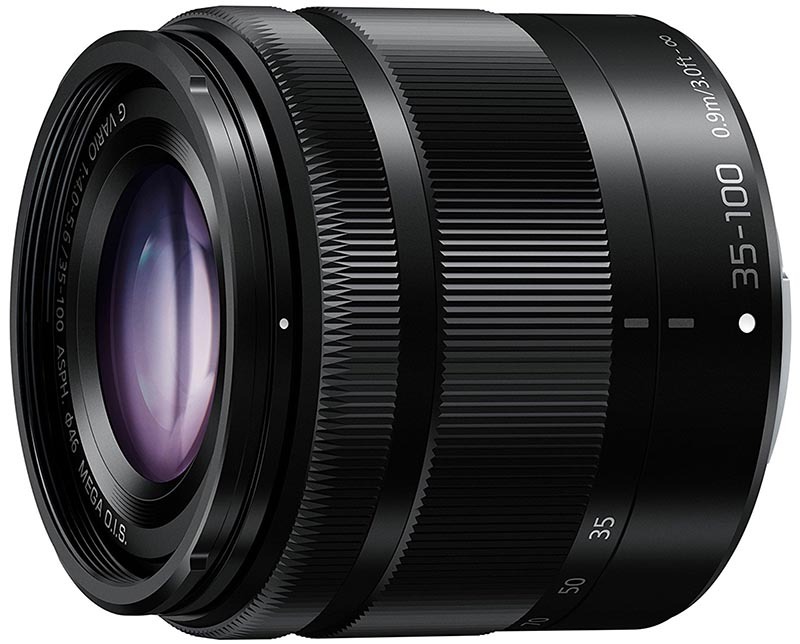 Among the available Voigtlander lenses for Micro Four Thirds are the Voigtlander 17.5mm f/0.95 (35mm equivalent), Voigtlander 25mm f/0.95 (50mm equivalent), and Voigtlander 42.5mm f/0.95 (90mm equivalent).